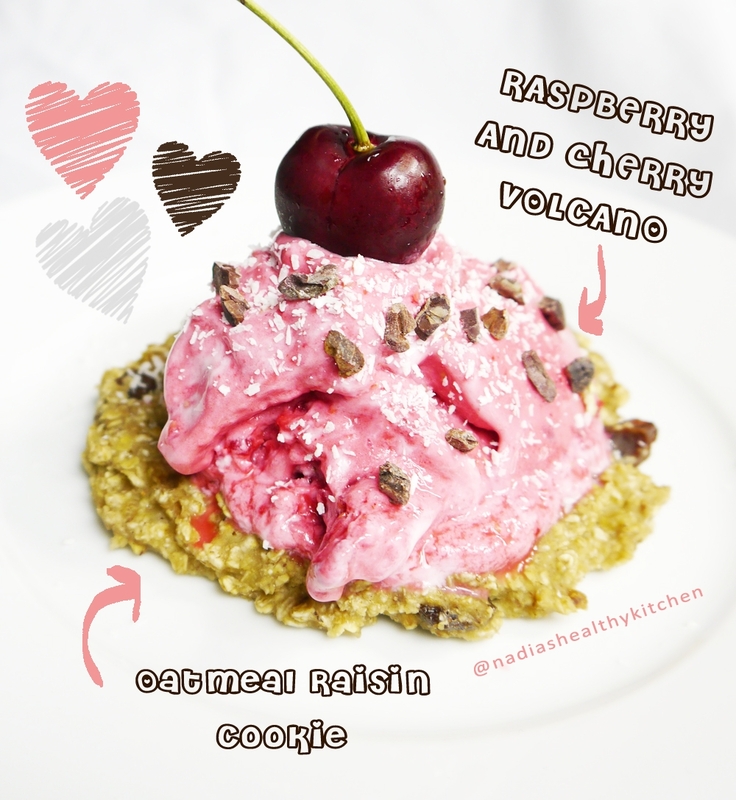 Microwave Oatmeal Raisin Cookie with a Raspberry and Cherry Volcano! 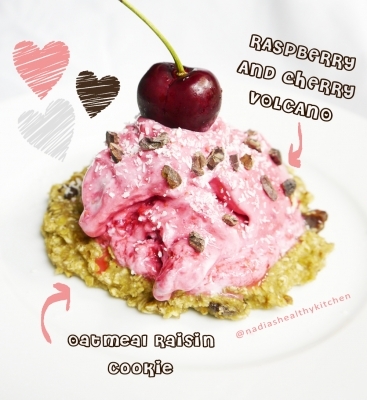 Mash the cookie ingredients together (banana, oats, raisins, stevia and cinnamon) in a bowel. Cook in the microwave for about 1 minute. Using a hand blender, blend the raspberries, cherries and yogurt until youâ€™re left with a smooth ice cream like consistency.